If you've been wondering what you could do with all the lovely printed cotton lawn and voile available at Treadle, this pretty shirt made by Mary is a perfect example. Soft cotton lawn and voile are perfect fabrics for this style; the fabric's soft drape prevents the garment from becoming boxy. Mary used Vogue 8878 to make this shirt. Simple in cut, with a couple interesting details, this shirt is prefect for spring. The long sleeves keep it from becoming too chilly, and the straight shape is simple to sew and easy to layer with. We have some beautiful yet quirky new prints in from Alexander Henry's Folklorico collection, inspired by traditional Mexican folk art. The skulls are definitely the defining feature, but there's a lot more in these prints. The flowers and foliage, the dots and splashes of color all add a dazzling brightness and energy. The level of detail on the clothing and scenes in the figures below has to be seen in real life to be really appreciated. We have a lot more new exciting stuff in the store! Keep your eyes on the blog for the first look at more goodies. Check out this stunning knit dress made by Treadlette Rebecca. Though simple in shape, the fabric choice makes a garment that pops with bold graphics, and the empire shaping with bust gathers and deep V neckline crate a dramatic garment that flatters the figure. Rebecca used a New Look Workroom pattern to make this dress. Stop by Treadle to check it out, as well as the variety of knit prints, from bold to subtle, we have in stock. Don't miss the chance to hear London sustainability expert, Sandra Black, speak on Thursday, February 21. 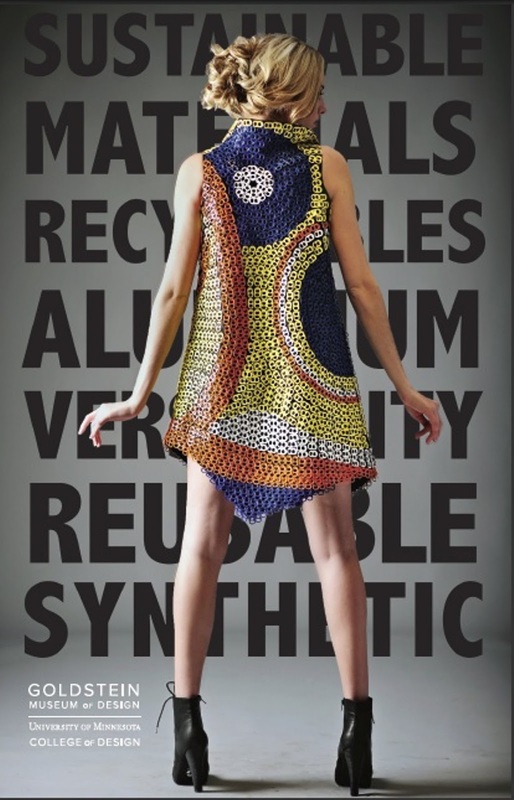 - Sandra Black's new book available for signing: "The Sustainable Fashion Handbook." Brocade and jacquard patterned ribbons from designers Anna Maria Horner, Kaffe Fasset, Riley Blake, and more! Hand dyed, bias-cut silk ribbons in deep, saturated colors by Hannah Silks. Cotton lace edgings and insertions. Perfect for heirloom sewing or to add a touch of sweetness to everyday dresses. Cotton ribbons and tapes. Who says functional can't be pretty, too? Grommet tape! Great for handbags or to add an edgy splash to garments. Rick-rack; still so popular and available in cotton, grosgrain, and velvet weaves. 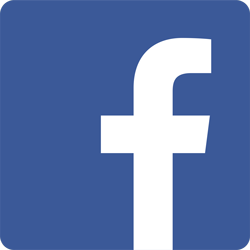 There is so much more in our store. Come in this weekend and take a look! Just in case you thought Liberty was the only game in town, here are some wonderful new cotton lawns from Elliot Berman. Perfect for dresses, blouses, and scarves, these soft, cheerful prints will brighten your wardrobe and your day! I just couldn't resist sharing this sweet project made by a Treadle customer. My friends and I stopped in your store the evening before the Sewing Expo. We purchased lots of wonderful fabrics and buttons for ourselves, but I thought you might enjoy seeing how one of the fabrics looked on another subject - Timmie the Chihuahua. Timmie was a foster dog in our care at the time. 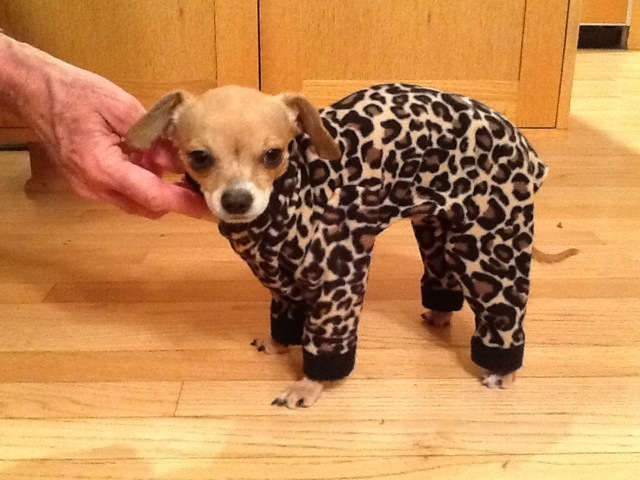 He was constantly cold so pajamas were the answer. Since then, Timmie has found a home with a woman who plans to make more little pajamas for him. As Melissa said, what a day brightener! We have a few new knits in, and among the more unique is this group with a crinkled texture. This fabric has a soft, crushed texture with lots of stretch. We currently have it in three colors. If you like sewing with knits like this, or have always wanted to try, check out the Material Girls' Designer Tees Class at Treadle. Each of the four separate sessions through the early spring will focus on working with a different designer knit tee pattern. Sign up for one or all of them! The first session is Wednesday, February 20th and the pattern is a Katherine Tilton design for Vogue. 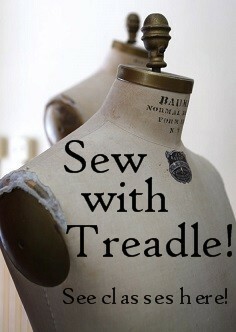 It's COLD outside, and Treadle has what you need for Winter sewing! Soft corduroy, cotton velveteen, plush microfiber, and wool in every flavor is still bargain-priced at 40% off! Whip up a simple wool jacket or a cozy pair of trousers. Or get crafty and make a simple blanket to snuggle under while you retreat from the cold winter weather.